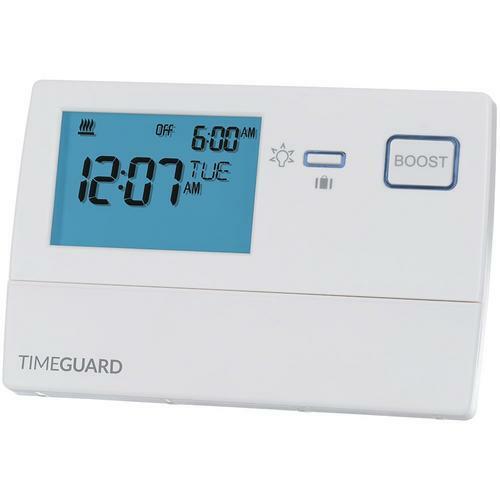 Single channel programmer (for use with room thermostats) with an easy view blue luminescent screen. Simple push button setting and select modes with full screen information providing automatic time control for domestic central heating applications. 1, 2 and 3 hour boost function.